If there’s one thing Japanese look forward most during winter, it is their very own Japanese hot pot dishes. As a matter of fact, it is almost a necessity in every Japanese household during the cold months of winter. Hot pot is a common dish in Asia, not just in Japan, but also in China and Korea. And like most of its neighboring countries, Japan has lots of different types of hot pot dishes, and almost every year they come up with something new. However, according to Japanese food historians, hot pot dishes can be categorized to three things on its broth – light flavor, rich flavor, and boiled in water. Boiled in Water Hot Pot As its name suggest, boiled hot pot is about using boiling water to get the flavors of the ingredients. Also known as Japanese soup stock, this Japanese hot pot is served in individual serving bowls with a separate sauce for you to dip. Chiri-nabe and Mizutaki are two good examples of this hot pot dish. Chiri-nabe is a hot pot dish composed of fish, water, tofu and vegetables, with ponzu sauce ( a mixture of citrus juice and soy sauce) as a dip. Mizutaki hot pot is almost the same, except that it uses chicken as protein, instead of fish. Light Flavor Hotpot Japanese hot pot dishes such as Oden and Yose-nabe are examples of light flavor hot pot. The main ingredients are cooked in lightly flavored broth. Most hot pot dishes in Japan belong to this category. Oden is easily the more popular dish; you can find it in convenience stores all over the country from autumn to winter. It comes with lots of toppings, and sauce is served in sachets for extra flavor. You can choose a sauce from karashi (Japanese mustard), miso, etc. As its name suggest, the soup itself is already flavored lightly. Rich Flavor Hot Pot Rich flavor hot pot of course, as its name suggest, is a richly flavored soup dish, one good example of the Sukiyaki, which is a beef and/or pork and vegetable hotpot. It is served alongside with ponzu (sesame seed-based sauce). Sukiyaki is different from the light flavor hot pot, as all ingredients are cooked in a sweet and salty soy sauce, bringing out the full flavor of every ingredient to make an amazing broth. Most Popular Japanese Hot Pot Dishes January last year, Asahi Holdings conducted a survey to determine the most popular hot pot dishes in Japan. There were lots of dishes that made to list, but the most popular is the kimchi-nabe. In this hot pot dish, all ingredients are cooked slowly, bringing all the flavor of every ingredient out to the broth. It is a simple dish, but easily one of tastiest hot pot dishes out there. It is also very easy to prepare, and you can use almost any vegetable and meat for ingredients, mix them all up and of course, add kimchi for some kick of spice. It’s a perfect match for alcohol as well. The main job of a psychologist in his professional field is to study mental processes and behavior of his patients. To be a professional psychologist, it is very necessary to attain a university or masters degree in psychology and be eligible to treat and diagnose the mental process of patients coming for consultation. There are counseling as well clinical psychologists who specially provide mental health care, and there are other psychologists like organizational psychologists that conduct research and make available consultation services. The two main problems faced by people living in Brisbane are depression and anxiety. Mostly every psychologist North Brisbane has is skilled in several therapies, administers issues related with emotional blocks and helps patients to enjoy a healthy and happy life. The psychologist should have a great deal of understanding in addressing the diverse issues and which could be everyday problems or a serious trauma. The different issues for which a psychologist North Brisbane has offers assistance include situations when patients are emotionally out of control, are struggling with some problem in a close relationship, dealing with some loss, suffering from depression or panic attacks, gender issues, childhood abuse, post traumatic stress, low self-confidence, and many other issues. Also, the North Brisbane psychologist may also offer counseling sessions that deal with anxiety, depression and mental illness. Adolescent depression can be treated by going for counseling sessions to a psychologist in North Brisbane. The different therapies that are used in the session include therapies like cognitive behavior therapy, mindfulness techniques, interpersonal therapy, psycho-education, non-violent communication techniques, relaxation techniques and emotional exposure therapy. The cognitive behavior therapy used by the psychologist is mainly based on the concept that your feelings, thoughts, actions and physical sensations are interrelated. The negative feelings as well as thoughts can trap an individual in a vicious cycle. The therapy is of great use as it deals with irresistible problems in a positive manner, and it breaks the problem and changes the negative patterns. It mainly focuses on the current problems rather than the problems of the past. There are many other such effective ways that can be followed to treat panic disorders and phobias as well. The best way to find psychologist in North Brisbane would be to search for information online and you even find information on the services provided. You can then consult the psychologist. The benefit that patients can gain from going to a psychologist for their mental health problems would be guidance for solving their blocks and fears. The patients are empowered by the psychologist so that they can live a stress free life. Their knowledge is mainly centered to solve the problems of their patients and help find answers to their problems. The methods used by the psychologists are evidence based and they are efficient in treating mental health issues. The other areas the modern psychologists specialize in include educational psychology, sports psychology, career counseling and men’s psychology. You can go dull on the bottom and go intense at the top. When you comprehend exactly what it is that works for you then you will quickly discover the swimsuit you are looking for. Take your measurements and then study the size chart on the sites. A lot of sites of numerous bikini brands in Australia likewise have the body type suggestions. When purchasing any of the bikini brands in Australia online, you can never ever make certain whether it will fit you or not. As to be on the safe side, order 2 sizes; one that is according to the size chart and the other based on exactly what you believe is going to fit you. If you like the match and are not truly sure of the very best suitable for you, then possibly you ought to buy a 3rd size. There are lots of benefits that come with purchasing swimwears online when you do it as expected to. You do not have to deal with horrible dressing space lightings, frustrating sales floorings, judgmental salesmen or even the pressure to have to purchase. This post provides a guide on how to purchase swimsuit brand names online. Shopping online for swimwears is an extremely practical method of purchasing swimsuit in Australia. When you pull the best strings, this will be the very best choice you will ever take. When it pertains to purchasing anything online, the seller you decide to purchase from is something you need to not deal with delicately. Utilize a business that enables simple returns that are economical. This will enable you to return the swim fits quickly after you have actually attempted them on and discovered that they are not as pleasing as you had actually believed. When purchasing any of the bikini brands in Australia online, you can never ever be sure whether it will fit you or not. When it comes to purchasing anything online, the seller you select to purchase from is something you must not deal with delicately. Are you nervous about the increasing of many strange spots in your skin? It’s certainly never too late to be assessed through a skin cancer check. It always pays to learn the facts. When skin cells have uncontrolled DNA damage and then cause mutations to develop, cancerous tumours pile up. And that is when skin cancer happens. It’s the unbalanced growth of an unusual skin cell. The majority of the time, skin cancers originate coming from epidermis cells. Compared to a cutaneous malignant melanoma, many skin cancers do not typically end up being fatal and infect the remaining body areas. Sarcoma – Tumour that damages connective tissues that involve muscle, body fat, veins, cartilage material, ligaments, deep skin tissues, and sinews. Syringoma – This is a non-fatal tumour that develops on the sweat glands’ cells, called eccrine. It’s hereditary and impacts ladies. Merkel Cell Carcinoma – An unusual kind of cancer that disperses rapidly to other parts of the body. It commonly looks like a blue or red blemish on your head or neck. It’s brought on by a long-term direct exposure to the sunlight. Basal Cell Carcinoma – The most common form of skin cancer, it rises from basal cells. These are found in the epidermis. BCC, if managed sooner, is more probable to offer an 85 to 95 percent recurrence-free cure speed even soon after the first remedy phase. Squamous Cell Carcinoma – This comes after the BCC as the most common skin cancer variety. SCC happens in the skin’s outlying layer. Like BCC, if you visit a skin cancer check provider and have it detected sooner, then you have much better shots of getting better without having recurrences. Melanoma – This is rare but damaging than the previous types. Melanoma develops from the cells that are responsible for giving our skin colour, which are called melanocytes. Set up windows and don shades that shut out ultraviolet B (UVB) and ultraviolet A (UVA) rays. UVA rays are the types of UV that result in skin cancer. If you stay near the equator, ensure to put on sunblock whenever you’re walking out. Get in touch with your physician if you’re geared up to take a supplement just like Heliocare. Avoid consuming excessive amount of alcohol. Consume vitamin B3, coffee, and foods such as garlic and yogurt. Vitamin B3, particularly “nicotinamide”, minimises the risks of obtaining BCC and SCC. Coffee has been found to help protect your body system from cell division and DNA synthesis that result in skin cancer. Garlic and yogurt help build up your body immune system. Attending to the biggest body organ is often taken for granted. Kicking off in small actions will really help you stay clear of skin problems. Acquire a mole check Brisbane has these days. Don’t hold back to be assessed by certified skin cancer experts. If you’re trying to find a skin clinic or a women’s health clinic Brisbane has now, the clinic to call is SmartClinics. Pay them a visit at www.smartclinics.com.au to make a reservation for a consultation. They can also provide a mental health GP Brisbane wide. Most of the time, families start looking for nursing homes when an emergency arises. Caring for elderly loved ones at home seem to be ideal in the beginning. But when loved ones suffer from dementia, they require more help in daily functions. That is why families look for the best dementia aged care facilities Surrey Hills has to offer so they can provide better care for elderly loved ones. While aging is a natural procedure, there are those who are not really ready for the change. It’s an advantage there are quality dementia aged care facilities Surrey Hills has today that aid elderly loved ones to continue living a satisfied life. If you have elderly loved ones who are relocating to aged care facility Surrey Hills wide, there are pointers on ways to help them adjust to their new environment: 1. Book Visits Often To assist your elderly loved ones to adapt to dementia aged care facilities Surrey Hills has today, make certain to go to regularly. This will assist them to settle in with ease. Without routine visitation, they may believe they are being deserted. That is why it is necessary to visit them in the facility. This will provide a guarantee that you are looking after their well-being and will assist them to feel they are an important part of the household. 2. Choose an Accessible and Comfortable Facility Location is necessary when selecting dementia homes Surrey Hills has to offer. It ought to be a location they are comfy with. If they have no mobility problem, taking them to the facility will assist them to choose if it suits their needs. You can begin looking for centers near your place for ease of access. The closer it is to their comfort zones, the easier for them to adapt to the new setup. It will likewise be hassle-free for you to visit them. See various centers and check which one fulfills their requirements and will help them express their individuality. Check it out at Arcare Glenhaven 3. Ensure Their Safety in the Facility It is necessary to guarantee that your elderly loved ones are safe in the facility they have chosen. Look for the existence of surveillance cameras in entryways. While it is necessary for these centers to use a home-like environment, it is still essential to supply a safe environment for their residents. Many elderly customers are vulnerable to roaming especially when they suffer memory loss. That is why it is very important to try to find a facility that has actually locked exits and actual security guards. 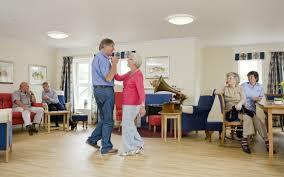 It is likewise crucial to make sure that the staff has substantial training on ways to handle numerous behaviors of elderly clients with dementia and other age-related illnesses. Transferring to an aged care facility can be a stressful experience for older individuals. They will need to handle the changes and get used to the difficulties of being relocated far from their comfort zones. But with your constant support and assurance, you will help them lead fulfilling lives that are safe and conducive to their conditions. Visit https://arcare.com.au/melbourne-aged-care/arcare-surrey-hills/ to find out more information on nursing home care Surrey Hills has for your elderly loved ones.